* How is structuration central to the social sciences? * What are the implications of conceptualizing the relation between structure and agency as one of duality or dualism? * Why was structuration theory invented and what can replace it? 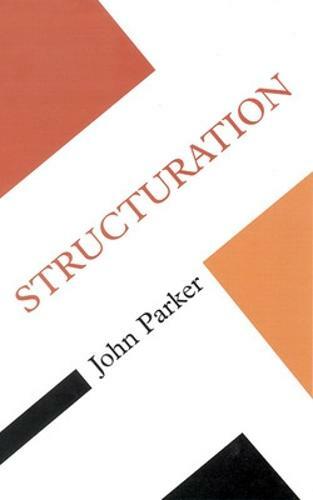 Structuration provides an introduction to this central debate in social theory and helps to explain the historical processes producing the structures that shape human social life. Few would dispute that social reality is produced by creative human agents operating in pre-existing structural contexts, but social theorists are divided over how structure and agency are related. John Parker contrasts the views of Bourdieu and Giddens, who uphold duality (identity), with those of the post-structurationists, Archer and Mouzelis, who defend dualism (non-identity). The context and logic of the duality arguments are examined, but it is suggested that Giddens' structuration theory is outdated, and the emphasis is placed on making accessible the positive suggestions of the post-structurationist dualists in relation to actual historical cases. The debate about structuration has important consequences for the way we explain the production and transformation of social structures such as institutions and rules, cultural traditions, patterns of regular behaviour, and distributions of power and inequality. Students and researchers across the social sciences will find this to be a clear and accessible guide to a concept at the heart of social theory.